Mark Stroman was sentenced to death in 2002 for committing hate crimes in the weeks following 9/11. In the weeks following the 9/11 attacks, Mark Stroman began “hunting Arabs” in order to avenge the deaths in the Twin Towers. In total, he shot and killed two people — a Pakistani immigrant and an Indian immigrant — and partially blinded Rais Bhuiyan, a young man from Bangladesh. He was arrested before his planned massacre of Muslim worshipers at a local Dallas Mosque and was sentenced to death in 2002. Director Ilan Ziv began filming Stroman from 2004 up until his execution in 2011 and discovered a man rife with contradictions, who not only renounced his Islmophobia but also befriended Bhuiyan, who fought to spare Stroman the death penalty in an act of religious forgiveness. 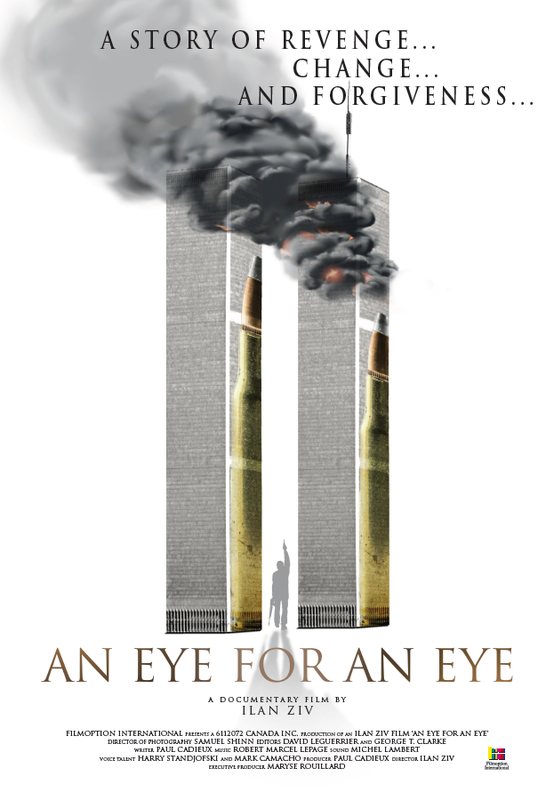 Watch a clip from the resulting film “An Eye for an Eye” below and check out the film’s poster as well. “An Eye for an Eye” will be released in theaters in New York City, Dallas, Houston, Los Angeles, Montreal and Quebec City this Friday, October 28, followed by a release in New Orleans and Toronto on November 11, courtesy of FilmOption International.